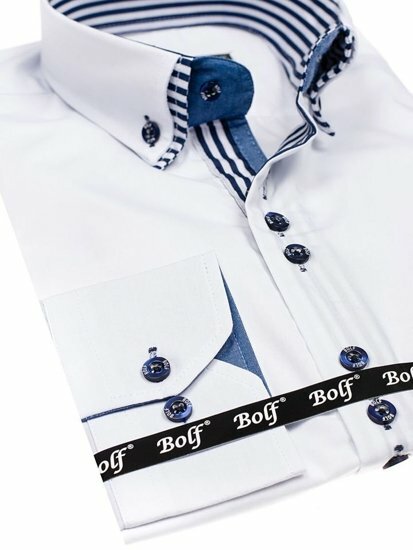 Perfect choice for every day - an elegant men's slim fit from the Bolf collection. 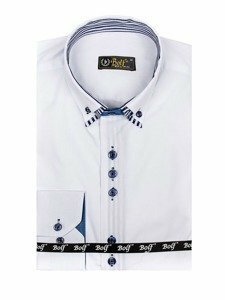 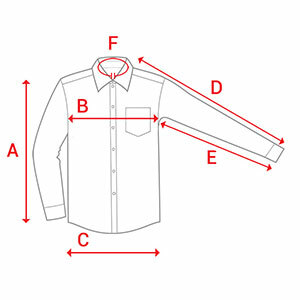 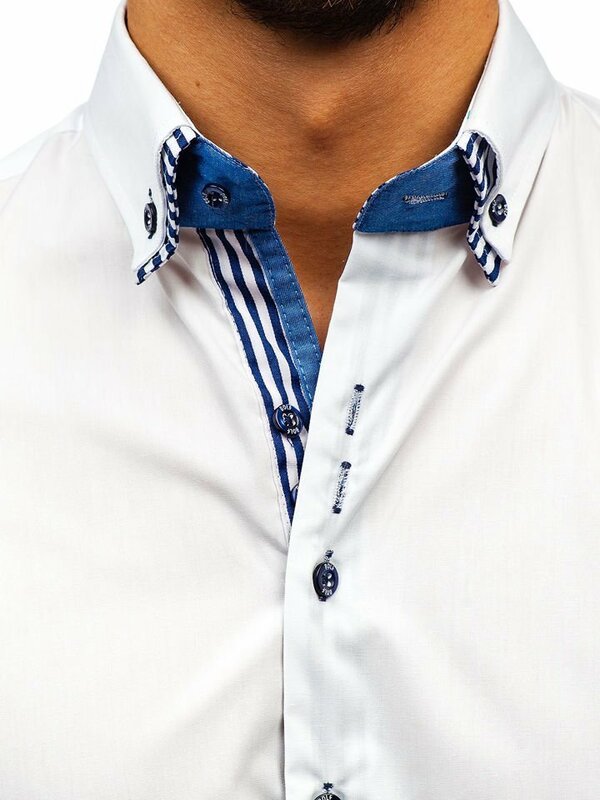 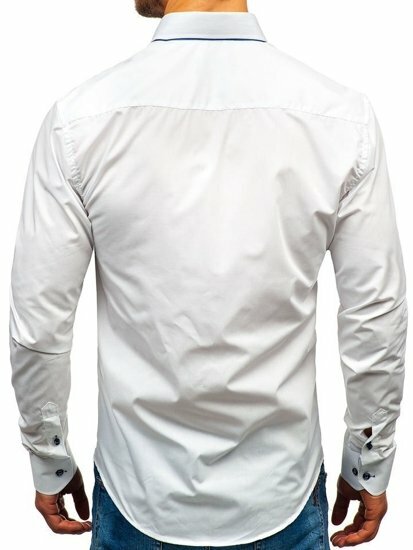 It's well-fitted, has a unique double button-down collar and a decorative button strap. 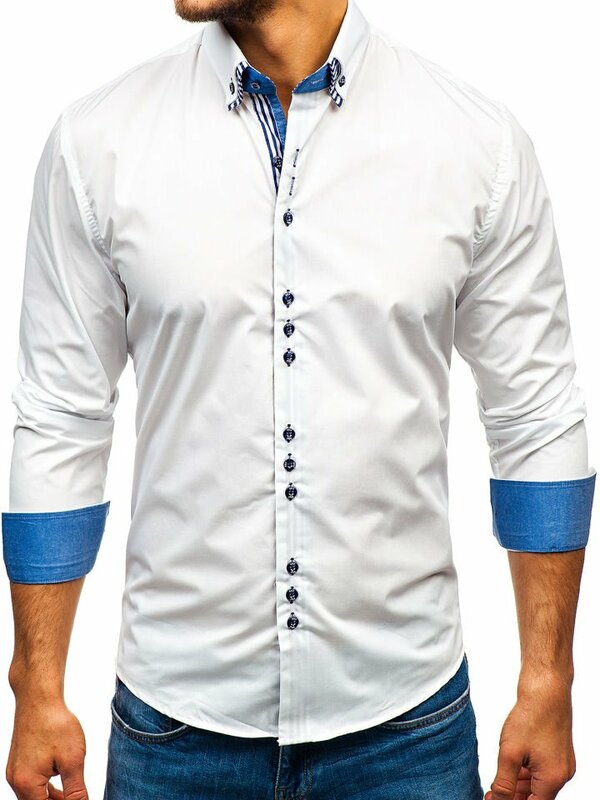 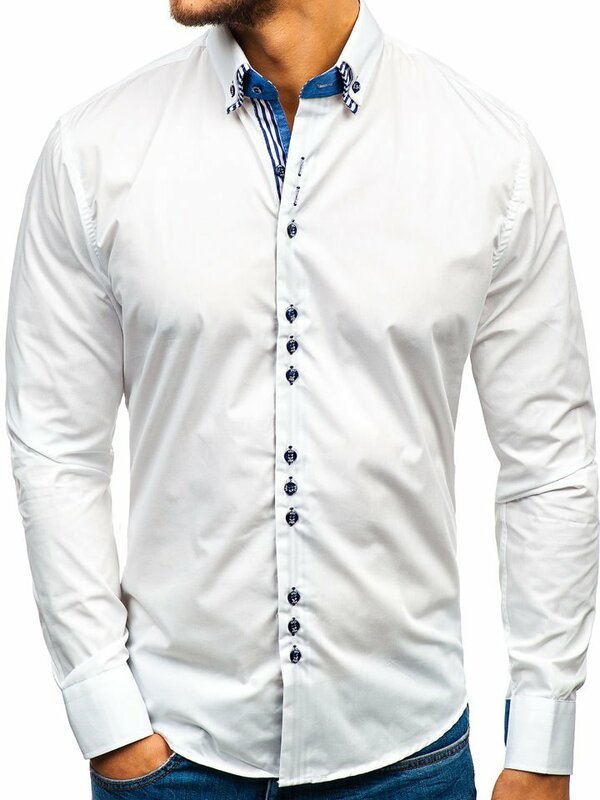 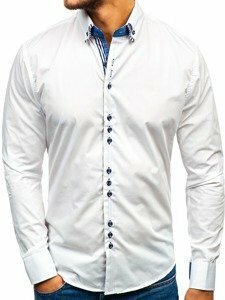 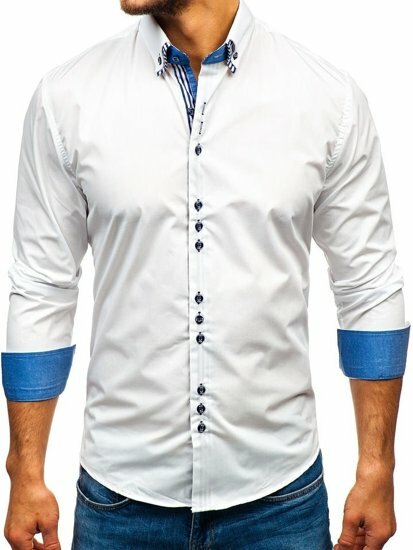 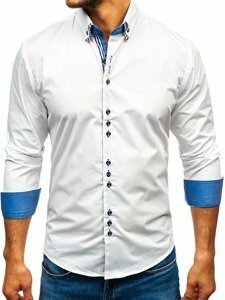 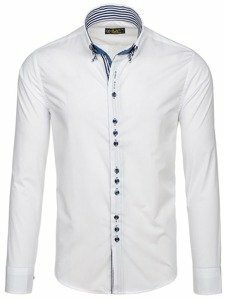 This white men's plain shirt looks decent matched with jeans or chino trousers. 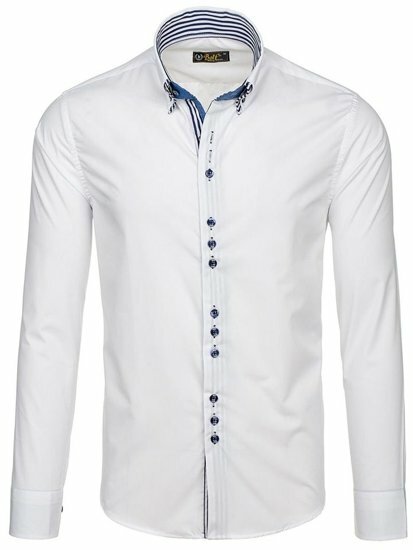 Feel free to wear it with a suit jacket.